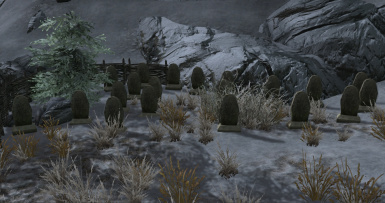 Adds proper burial sites for various unique NPCs found throughout Skyrim. Removed the quest edit from DB06 for Gaius Maro's alias and transferred the no body cleanup faction setting to my own alias for when he's killed. Should remove any compatibility issues from that quest now. Logrolf the Willful should not have been provided with an alias for body cleanup due to him being placed in the no cleanup faction and never getting removed from it. Grounded some floating objects in the Winterhold Hall of the Dead. Bring Out Your Dead is a simple yet immersive mod which expands on the number of graves given to the unique NPCs in areas of the game that don't currently have them. Solitude, Windhelm, Whiterun, Riften, and Markarth all have a Hall of the Dead that contains coffins and urns for various unique NPCs who live there. Their items are transferred to their assigned coffin when they die. The smaller cities of Falkreath, Morthal, Dawnstar, and Winterhold do not have these facilities, and neither do the other smaller villages and towns. NPCs living on farms outside the major hold capitols don't get buried in their Hall of the Dead either. This mod aims to correct this and provide for more uniform handling of everyone's dead. 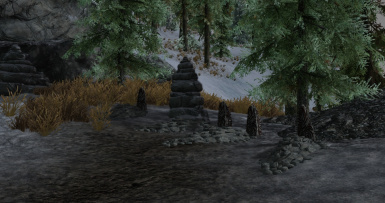 Falkreath and Morthal both have graveyards already and have been expanded slightly to hold more. Dawnstar and Winterhold now have their own Halls of the Dead just outside of town. The smaller villages all have space set aside for new graveyards. NPCs living on farms immediately outside the 5 major hold capitols will be given appropriate burial space in the Hall of the Dead for their city if they don't already have it. 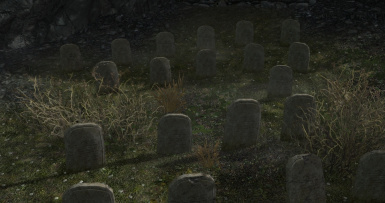 NPCs marked as essential will not be given a grave since they cannot be killed normally unless the game removes that flag as the result of a completed quest. Unofficial Skyrim Special Edition Patch 4.1.3 or greater. Use the "Download with Manager" button on the Bring Out Your Dead page at Skyrim Nexus. The installer should take care of things from there. Or add it to NMM manually through the "Add File" dialogue. Drop Bring Out Your Dead.esp and Bring Out Your Dead.bsa into your Data folder. To remove the mod: Delete the Bring Out Your Dead.esp and Bring Out Your Dead.bsa from your Data folder. Then reload your game as usual. Expanded Towns and Cities has been confirmed to be 100% compatible as of version 2.0. Potential conflict with any mod which is expanding the various cities and villages. If these conflicts are brought to my attention I can attempt to make adjustments for them within reason.